If you have high cholesterol, and especially if your LDL (bad) cholesterol is high, chances are you’ve been told to drastically change what you eat. Pretty much cut out everything you like and load up on the food you hate, right? But a new study published in the journal Nutrition, Metabolism & Cardiovascular Diseases reveals that you can normalize your cholesterol by just shifting WHEN you eat, and this can be done without making any changes to your diet. A team of scientists analyzed the information of 1,283 adults that were collected by Taiwan’s Nutrition and Health Survey. 44.4 percent of them were female and the rest were male. They asked the participants to recall the details of their daily food intake, including the exact dishes, snacks, and meal times, and also tested the participant’s cholesterol and blood fats. 1. Morning breakfast: 05:00 to 09:29, 385 calories. 2. Mid-morning snack: 09:30 to 11:29, 123 calories. 3. Noon lunch: 11:30 to 13:39, 522 calories. 4. Afternoon snack: 13:30 to 17:29, 171 calories. 5. Evening dinner: 17:30 to 20:30, 557 calories. 6. Nighttime snack: 20:30 to 04:59, 169 calories. From this table, you can see that their diets were rather light in the mornings and increasing to heavy in the evenings, with a surprising amount of snacking during the night. 1. Those who snacked more than 100 calories during the night had 0.94 mg/dL higher LDL cholesterol than those who did not. 2. Those who snacked more than 100 calories of fat during the night had 2.98 mg/dL higher LDL cholesterol than those who did not. 3. Those who ate 100 extra calories in the morning or noon instead of eating them as a nighttime snack dropped their LDL cholesterol by 1.46 mg/dL (morning) and 1.27 mg/dL (noon). 4. Those who ate 100 extra calories of fat at noon or in the evening instead of eating them as a nighttime snack dropped their LDL cholesterol by 5.21 mg/dL (noon) and 3.19 mg/dL (evening). 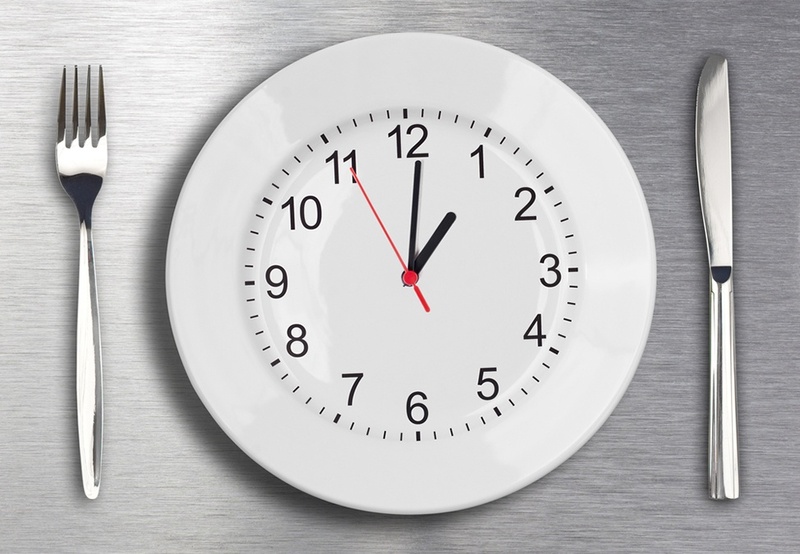 Why is the timing of meals important? Using previous studies as a guide, the researchers explained that our bodies produce and use cholesterol differently depending on the time of the day. As such, your liver produces different amounts of cholesterol at different times of the day, your intestines take up different amounts at different times of the day, and many of your tissues use different amounts at different times of the day. There is also some evidence that your liver produces most of its cholesterol at night. Now, if you eat a lot of fat at night, and your liver spikes its cholesterol production at the same time, your body will be bombarded with cholesterol at the time when you are the least physically active and your body uses the least of it. Hence, shift your calorie and fat intake from nights and even evenings to mornings and afternoons.